What is keeping you from a happier, healthier life? Back and joint pain? Digestive issues? Worried about your cholesterol? We’re here to answer your questions and provide you with knowledge and resources. Our mission is to empower our customers with knowledge and provide them with products to make a healthy lifestyle affordable. You have the opportunity to read articles written by our founder Michael Dworkin, PD, CCN, and his daughter, Erika, Board Certified in Holistic Nutrition®, our owner. The Manchester Parkade Health Shoppe has been a trusted resource in the community since 1956, first as Liggett-Rexall Pharmacy, and later as a full-service health food store. Erika and her team are excited to be taking the shopping experience online with VITATHENA, coming soon! Seeking answers and guidance to lead a healthier lifestyle? Our Nutrition Consultant, Erika Dworkin (Board Certified in Holistic Nutrition® and Certified Lifestyle Educator) offers nutrition consultations both in-store and by appointment. Kyle LeDonne (Culinary Nutritionist) is available daily for guidance in our shop. VITATHENA will be the online branch of the Manchester Parkade Health Shoppe where customers from across the U.S. will be able to shop conveniently. Not sure what a health shop is or how we differ from a drugstore? Wondering what we have in our shop? 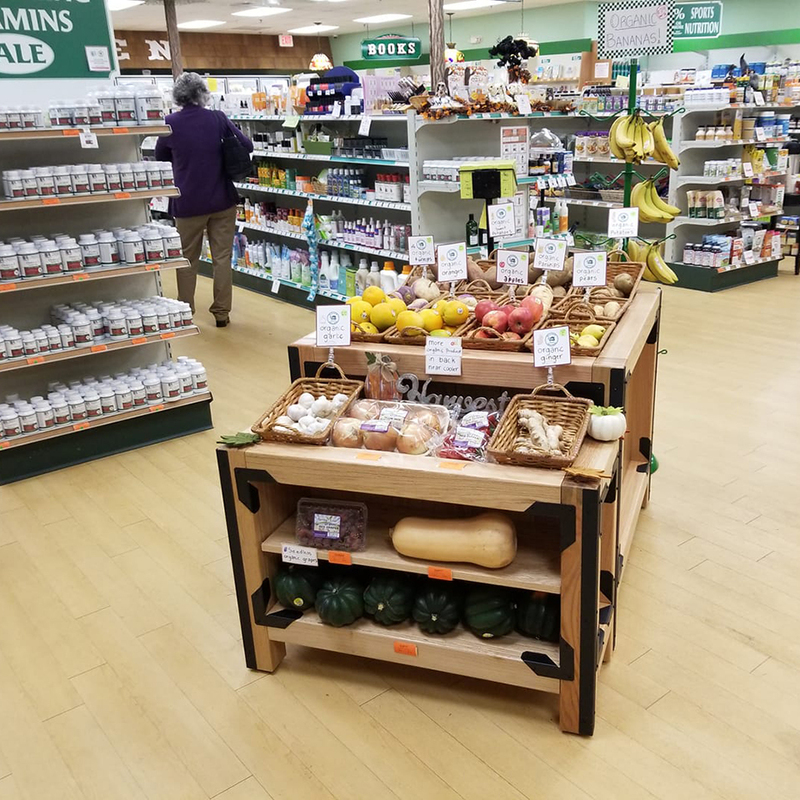 We can tell you we sell high quality dietary supplements, healthy allergen-free foods, affordable organic produce, natural body care products, and lots more, but we’d much rather show you! I am continually impressed with Erika’s level of commitment and passion for educating people on the importance of trustworthy, evidence-based information about nutrition and holistic health. She has written cutting-edge, information-packed articles for Natural Nutmeg for years and we consistently receive fantastic feedback on every single one. When we greet our customers in our shop, we strive to address all of their health and nutrition questions and concerns. They tell us how grateful they are for the personalized attention and expertise we offer. So, we want to extend this to you on our website! Below are a few sample questions that our customers frequently ask, with responses, and a form you can fill out to send us your own questions. This is the main body of the email. The information provided in our shop and on our website is not intended for diagnostic or medical purposes. If you require immediate medical attention, please contact emergency services at 911. We will do our best to respond in a timely manner but, if you require a more immediate answer, please call or visit our shop.